Innovation, be that in product development, service delivery, or management, is the key to staying ahead of the field for enterprises and businesses irrespective of their growth cycle. Leading innovation in your organization is a demanding adaptive journey. Leading Enterprise Innovation is a 6 to 8 weeks long course for entrepreneurs, business executives, and managers. The experimental learning in this course prepares you to rightfully engage your and your team’s head, heart, and hands in order to create a values-driven shared purpose and related strategy. The course can be packaged for one enterprise or for entrepreneurs and businesspeople from different sectors. We require a minimum of 12 participants. More than 75% of Nepal is still rural. The potential for new enterprises and business development in rural Nepal is immense. Leading Rural Enterprise Innovation is a leadership course with rural immersion designed to provide first-hand rural entrepreneurship experience to undergraduate and graduate students. The course will enable students to find the entrepreneur within and explore entrepreneurship opportunities in rural Nepal. The course will help students put their academic knowledge in context and practice. Students with business, engineering, agricultural, and other relevant social science backgrounds can participate in this course. Such urban-rural collaboration will promote creative cross-pollination and nurture innovative solutions to rural enterprise challenges. The course is 6-8 weeks long. Business Model Canvas is designed for entrepreneurs and business persons as a practical tool to understand their enterprises better and to create business management and growth strategies. The course is also offered to university students as a theoretical framework to understand a particular business or to design a business plan for a potential enterprise. The course is a 3-hour long workshop. 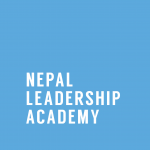 Entrepreneurship in Rural Nepal is a 3-hour long course designed for university students and development agencies to provide an in-depth understanding of entrepreneurship in rural Nepal. The course facilitates participants to explore factors affecting entrepreneurship at the following levels of abstraction: Entrepreneur, Enterprise, Economy, Ecosystem, and Ecology.